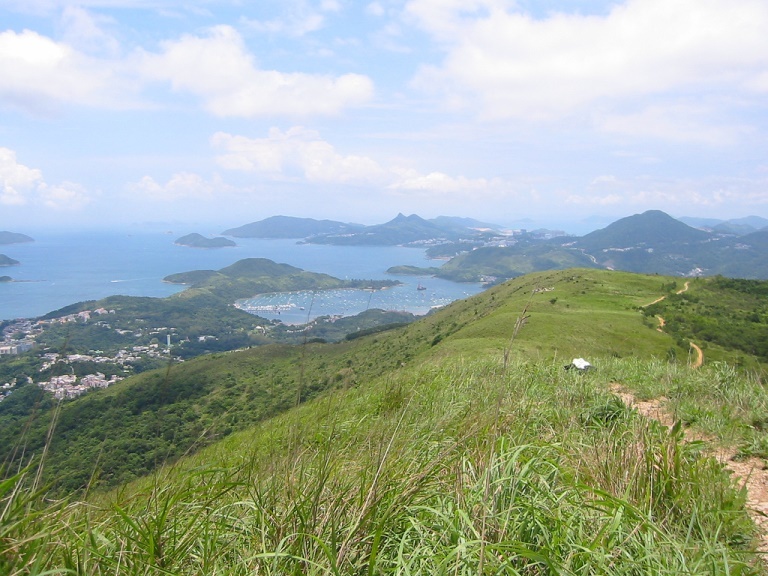 A memorable walk: trek up through exuberant sub-tropical vegetation to this fine grassy ridge with outstanding views over the island-dotted, sparkling bay of Sai Kung. Stumble on the remnants of rural southern China: old houses, fields and rice terraces. Sai Kung Bay is a jewel of Hong Kongs marvellous New Territories: a large expanse of sheltered water, dotted with islands and surrounded by verdant hills although the eponymous fishing village has been heavily developed and there is a golf course on the largest island. Behind the bay is a long ridge between the rocky peak of Ma On Shan (Hong Kongs second highest at 702m) and Buffalo Pass at the back of the Kowloon ridge that provides the dramtic backdrop Hong Kong harbour. 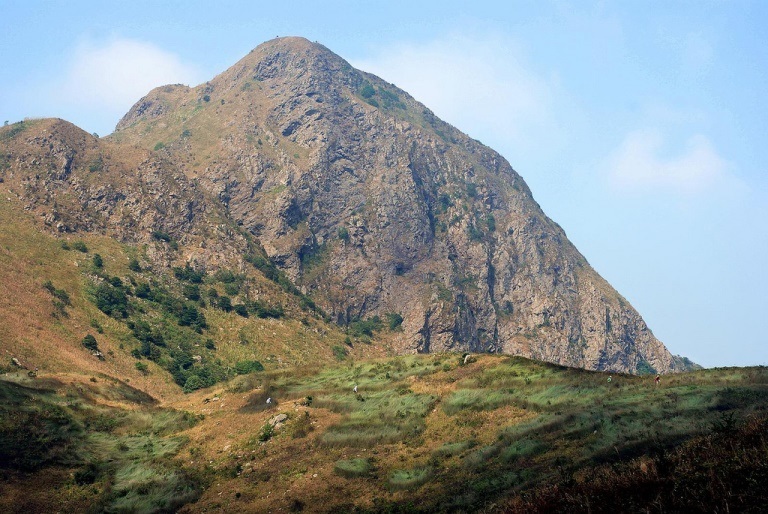 You climb up to the Buffalo Ridge (our name) on old paths that wind up from surprisingly characterful villages on the hillside above Sai Kung (the best for circular walks is Tai Shui Tseng), through lush sub-tropical vegetation and long-abandoned fields. 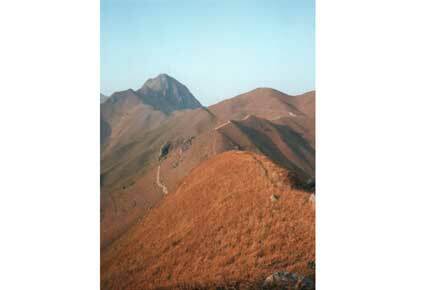 Or you can slog up the Maclehose Trail from Shui Long Wo to the high shoulder of Ma On Shan itself. 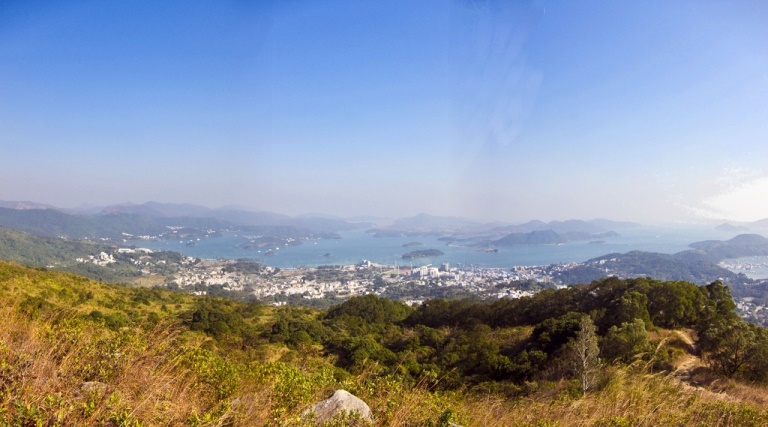 All along Buffalo Ridge, you can sit with your picnic and savour the wide views over Sai Kung bay. Behind the ridge is rolling plateau, with some old fields and collapsed crofts amid the dry coarse grass and patches of woodland. The Maclehose Trail winds for some 8km along this ridge; if you are here at night during the famous annual 100km Trailwalker march, you become part of a living, coiling serpent of head-torches.